All Pro Freight South is a Florida based division of All Pro Freight Systems, Inc. which was founded in Cleveland, Ohio in 1990. Since opening in 2003, All Pro Freight South has seen the needs of our customers evolve and as a result so too have our services. 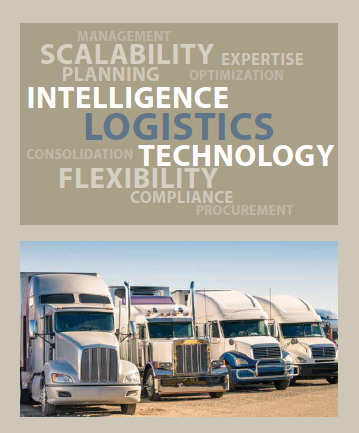 We’ve grown to provide trusted, full-service transportation and logistics management solutions. Our business model is market-driven and we remain close to our customer base working hard to implement strategies that help them operate at their very best through smart transportation solutions and innovative thinking and technologies. The team at All Pro Freight South is committed to continuous improvement and works hard to refine and perfect the process of getting product delivered to the customer on time, with consistency and safety always in mind, while still driving down costs. We are committed to giving back and our team is dedicated to ongoing involvement that helps make our community a better place to live and work. Let All Pro Freight South help streamline your operations, manage your everyday transportation needs — and drive your success. A leading provider of end-to-end supply chain and transportation solutions, All Pro Freight South has built our reputation as a reliable freight-solutions resource. We partner with our customers, providing customized transportation management services that help them increase efficiency and productivity while driving bottom-line profits. Our systems at All Pro Freight are purpose-built to meet the exact needs of our customers. Through our internal resources and brokered partner network, we provide trusted, professional transportation services in local markets and throughout the United States, Mexico and Canada. Safety First: All Pro Freight’s award-winning safety program, reinforces our commitment to providing exceptional transportation services—and complete customer confidence. Each of our drivers completes ongoing training based on industry-best practices, and all are hazmat certified. Local Cartage: A fleet of local tractor trailers and straight trucks provide efficient, same-day delivery to your customers, up to a 250-mile radius of Orlando, Florida. Contracted by the hour or by the load, we provide delivery solutions that meet your deadline and budget. Long Haul Over-the-Road: With over 100 OTR drivers, 150 trucks and better than 600 commercial vans and flatbeds, All Pro Freight provides consistent, dependable door-to-door hauling services to all points throughout the United States. Digital tracking and tracing services provide real-time load status 24/7. Single Source / Dedicated Fleet Service: All Pro Freight serves some of the largest shippers in the United States. Ours is a custom approach: We employ assets and tailor services to meet each customer’s exact needs—from one truck and driver to accounts with 30+ dedicated trucks. In many instances, we absorb the customer’s fleet, allowing them to free resources within their company to concentrate on other core competencies and reduce overhead expenses. Customer satisfaction among our single source customers is one of our proudest achievements. Less-Than-Truckload Shipping: All Pro Freight provides efficient and cost-effective LTL services by leveraging technology to assist with your carrier procurement and consolidating larger LTL shipments into more economical truckloads with stop-offs. This process ensures sustainable competitive pricing and eliminates unnecessary handling at break centers as the shipments are delivered in transit. 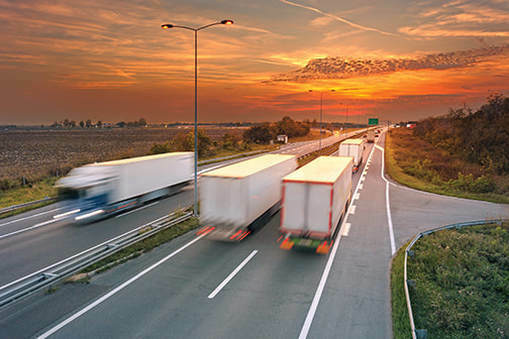 Our customers enjoy the benefits of LTL direct routing, including lower shipping costs, significantly reduced damage rates, and shorter transit times—elements that contribute to a healthier bottom line. Whether it’s 1 pallet or a half-truckload, we have a solution for you! ​ Intermodal: When you need to move freight off your dock or are looking for cost-efficient pricing alternatives for everyday shipping, intermodal is a smart solution. 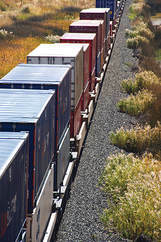 Moving freight by rail is a more budget-friendly and environmentally conscious alternative—and one that we offer backed by accurate, timely tracking and delivery status. We monitor the daily movement from shipper to consignee, providing you with quick-response updates. • Short- and long-term warehousing contracts, by the pallet or square foot. • Approximately 100,000 square feet in Central Florida. Whether you need to manage a seasonal inventory buildup, end-of-the-month crunch or facilitate/expand an ongoing part of your distribution services, our capable team provides exceptional service with honest, competitive pricing, custom tailored to your needs! Pulling, packing and arranging for transportation are all part of the daily routine here. Stop by for a visit or send a request for pricing and/or info by clicking here. ​Another growth area for our company has been in the arena of Volume LTL Distribution. With escalating LTL rates from the common carrier sector, we have found a niche in providing relief to our customers by combining larger LTL shipments and forming truckloads with stops offs. 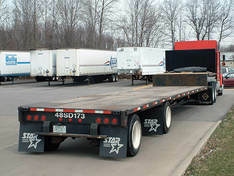 This eliminates unnecessary handling at break centers, as the shipments are delivered in transit. Reduced transit times are often an added benefit and the result of direct routing. If there is any value in reducing transit times, lowering costs and virtually eliminating damage, consider All Pro Freight South today. 4) A Multitude of Data Sharing and Evaluation. The above components require full disclosure and that practice continues after an agreement is signed as we share critical freight and product cost components for each segment of business we are engaged in. Our vision is for All Pro Freight South to be the branded and trusted Logistics entity of our customers and contribute vital information and services that directly correlate to the financial success of the customer. All Pro Freight Systems prides itself on superior service and account management at a competitive price, building long withstanding partnerships with our customers. Flexibility around services and cost structure is critical to our success. We don’t offer “canned” solutions where the customer isn’t comfortable with the program and services they are purchasing. In the Transportation Services Segment, we practice sustained profitability and growth with respectable margins where transactional volume is the core contributor. In the Solutions and Transportation Management segment, a fair and equitable agreement that mutually shares in cost avoidance and savings has proven invaluable to our organization. Our ownership has vast experience within the transportation, retail, manufacturer and distribution sectors with over 75 years of combined business experience. Our backgrounds, expertise and network provide the best fit for a seamless transition and for the continued success and growth of our customer business platforms with little to no risk. We look forward to working diligently on gaining an in-depth understanding of our customers business and we are extremely confident that together, the decision to utilize All Pro Freight Systems services will be a huge success for any organization. Integrity, Culture and Valued Partnerships Lead to Sustained Profitable Growth and Unparalleled Service. If you are interested in joining the All Pro Team please submit your application by choosing one of the options below. ​To submit an application online or on your mobile device click on the Download Link and complete the application. Upon receipt, we will review your application, run your MVR and do the necessary background and employment verification checks. We will contact you when those processes are complete. Thank You for your interest in All Pro Freight Systems, Inc.
C/O All Pro Freight Systems, Inc. The All Pro truck fleet is comprised of both Company Trucks and Owner Operators. The majority of the Company equipment is used for Local Cartage or Local Dedicated operations. Almost our entire Over The Road fleet is Owner Operators. All Pro Supplies all of the trailers 48' and 53' owned or leased vans. We haul General Commodities which may and does include HAZMAT on some loads. Local (Usually Dedicated Operations) - Hourly Pay. Regional-(500 miles or less, Company Drivers) - Primary lanes Central FL to GA, NC, SC ($.37/mi. on loaded and MT miles). 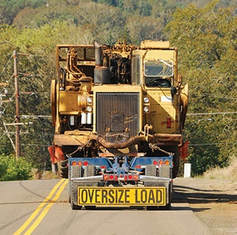 OTR (Intermediate or Long Haul Over The Road, 500-1300 miles, Primarly East of the Mississippi) - Mileage Pay. Majority of Backhauls are right back to Central Florida - Getting Home is not an issue! ​All trucks must have the following minimal states to start with us (unless going just regional). AR, AL, OH, PA, NY, NJ, MD, DE, WV, VA, KY, IN, IL, TN, GA, IA, MS, MI, AL, MO, NC, SC, MA, CT, TX, FL. Pay Period - Sunday through Saturday based on Pickup date; these loads are then paid on the following Friday. Dispatch (From Central Florida) is done on a FCFS basis once you are empty and is semi-forced as you are offered the freight that is available when you call in empty. You may be offered an OTR or Regional Load, depending on availability and/or need. In order for All Pro to work for you, you must be willing to take both. If you are only interested in long trips and not willing to take short haul as needed, this is not the place for you. Drivers that are empty with available hours that refuse to take a load will go to the bottom of the board the following morning. Drivers that go out of service with an All Pro trailer will be charged $25.00 per day after 2nd day. Any extended out of service, equipment needs returned to our location in Sanford, FL. Check calls are expected by 10 am daily. All Drivers must have a cell phone they can be reached on while under dispatch. 1. Drivers must have a valid Commercial Drivers License. 2. They must be 23 years old, or older. 3. They must have a minimum of 2 years of driving experience on similar equipment. 4. An acceptable MVR has 6 or fewer points for the preceding 36 months. 5. Class A CDL (HazMat endorsement preferred). 6. ​All drivers must meet the minimum physical qualifications as required by the U.S. Department of Transportation Federal Highway Administration Regulations Part 391.41. $0.95/mi. on all loaded miles. $0.95/mi. on all empty miles (first 20 are free). All miles paid off PC Miler Pratical. Fuel paid on all loaded miles per the fuel surcharge schedule. Company drivers domiciled in Sanford, FL - $0.35 a mile, $15 per stop. All pickups and deliveries must be made on time. $13.00/hr - 2-3 years verifiable experience. $13.50/hr - 3-6 years verifiable experience. $14.00/hr - 6 or more years verifiable experience. Paid Vacation After One Year. All miles based on PC Miler practical miles. FSC based on national average computed weekly. See (Fuel Surcharge Guidelines). We value and appreciate our customers, so feel free to visit us during normal business hours. 2625 Jewett Lane & 2640 W. Airport Blvd. © 2018 All Pro Freight Systems, Inc. All Rights Reserved.